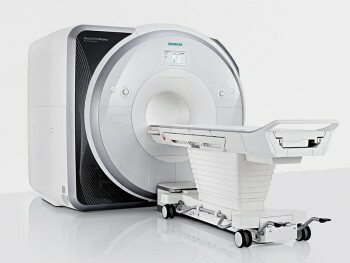 BCBL houses a Siemens 3T MAGNETOM PRISMAfit MR scanner that allows BCBL researchers to perform functional MRI (BOLD and perfusion ASL), structural MRI, diffusion-weighted MRI and MR Spectroscopy studies. This system uses the Siemens Total Imaging Matrix (TIM) 4G technology including the TimTX TrueForm and TimTX TrueShape technologies for parallel transmission and selective RF excitation for better B1 homogeneity, reduced Specific Absorption Rate (SAR), and enabling zoomed imaging with the ZOOMit application. The Tim 4G technology with up to 64 independent channels available for parallel reception are exploited with two dedicated 20-channel head coil and a 64-channel head/neck coil. The fully digital transmission and reception design with the DirectRF technology integrates all components inside the magnet room, connected with fiberoptic cables with the equipment room, for reduced noise and improved stability. The Prismafit system offers a large anatomical coverage with a maximum field of view (F0V) of 50 cm. 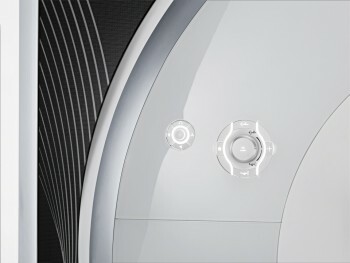 Decisively, it comprises a unique XR 80/200 gradient coil with a maximum amplitude of 80 mT/m and a slew rate of 200 T/m/s simultaneously on all three axes for increased SNR in the most demanding applications, enabling us to obtain higher spatial and temporal resolutions, reduced scan times and excellent workflow with subject’s comfort in mind. The scanner also integrates real-time monitoring of cardiac pulse, ECG and respiration signals. The PRISMAfit system includes a new generation of MRI protocols, for example the CAIPIRINHA and MP2RAGE sequences for structural imaging, and the simultaneous multi-slice (SMS) sequences for highly-accelerated functional and diffusion-weighted imaging. 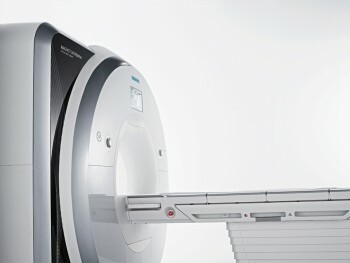 The BCBL has a research agreement with Siemens Healthcare Spain for technological support and access to the latest MR sequences and protocols developed for MAGNETOM systems, as well as developing its own tailored MRI sequences with the Siemens IDEA and ICE programming environments. Furthermore, the BCBL has established agreements with international research centres (e.g. the Athinoula A. Martinos Center in MGH/Harvard, the CMRR at the University of Minnesota, the Donders Institute in Nijmegen) to make the best imaging protocols available to our researchers. In addition, the BCBL MRI lab is equipped with multiple stimulation and response MR-compatible peripherals for all type of fMRI studies, including 4-button optical response pads (Current Designs), response grips (Nordic Neurolab), a rear-projection video display (Panasonic SXGA+ 7000), an audio system comprising noise-cancelling headphones (MR Confon) and microphone (Optoacoustics), S14 insert earphones (Sensimetrics), a MR-compatible EyeLink 1000 Plus eye-tracking system (SR Research), and a MP-150 BIOPAC system for external monitoring of physiological signals (e.g. cardiac pulse, respiration, electromyography and skin conductance). For simultaneous EEG-fMRI experiments, a MR-compatible BrainAmp Plus system with up to 64 electrodes (Brain Products) is also available.